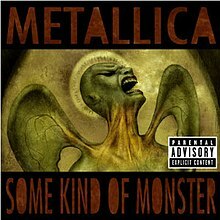 (2004) "Some Kind of Monster"
"Some Kind of Monster" is the fourth single from the American heavy metal band Metallica's eighth studio album St. Anger . The song appeared in 2003 along with the album, but it was released as a single on July 13, 2004. "Some Kind of Monster" was Nominated for Grammy Award for Best Hard Rock Performance in 2005 but lost to Velvet Revolver for the song "Slither". 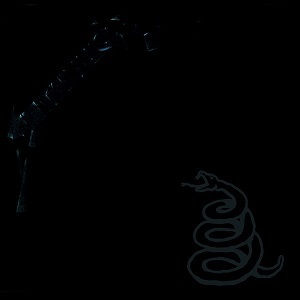 St. Anger is the eighth studio album by American heavy metal band Metallica, released on June 5, 2003. 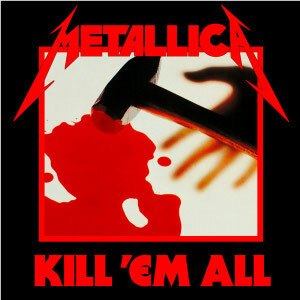 It was the last Metallica album released through Elektra Records, the final collaboration between Metallica and producer Bob Rock and the band's only album to date without an official bass player, as Jason Newsted had left shortly before recording sessions began; Rock took his spot as bassist for the album. 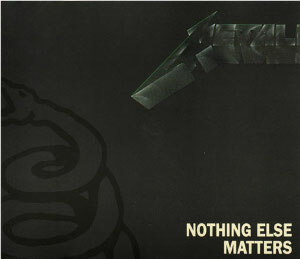 The artwork was created by Metallica collaborator Pushead. 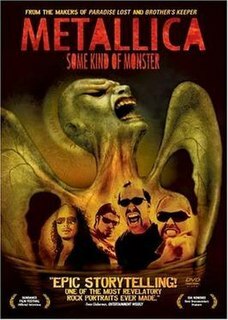 Some Kind of Monster is a 2004 American documentary film featuring the American thrash metal band Metallica. It shares its name with the song "Some Kind of Monster" from Metallica's 2003 album St. Anger. The film shows many studio rehearsals and fragments of concert footage. It won the Independent Spirit Award for Best Documentary Feature. The DVD release was handled by Paramount Home Entertainment. 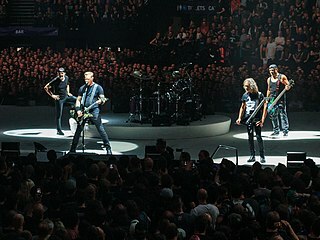 Metallica re-released the film, including a bonus documentary, in 2014 to celebrate its 10th anniversary. 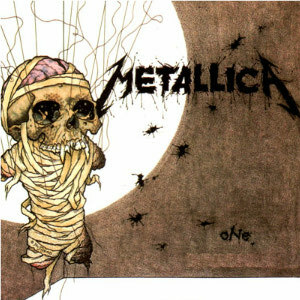 The name Some Kind of Monster came from vocalist/guitarist James Hetfield describing the lyrics to producer Bob Rock being about a Frankenstein creature or "some kind of monster". Thus, it was also used as a very fitting title for the 2004 documentary about the recording of St. Anger and the turmoil surrounding it. 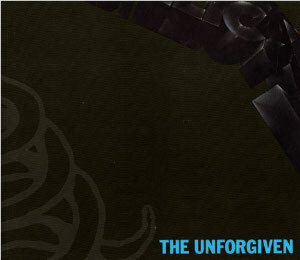 Hetfield has previously described the entity that is Metallica - the burden of fame and life in general - as monstrous. The song's birth and development are well detailed in the eponymous documentary as well. It was one of the first songs put together for the album. It would later be released as the final single and music videos of St. Anger, and would be shortened considerably from the album version. 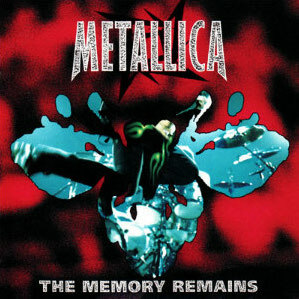 The video contains old footage of Metallica concerts as well as a performance of the song in Metallica's San Francisco headquarters which is included in its entirety on the St. Anger DVD. In some regions, such as the US, the EP was bundled with a T-shirt featuring the artwork. DVD is a digital optical disc storage format invented and developed in 1995. The medium can store any kind of digital data and is widely used for software and other computer files as well as video programs watched using DVD players. DVDs offer higher storage capacity than compact discs while having the same dimensions. An extended play record, often referred to as an EP, is a musical recording that contains more tracks than a single, but is usually unqualified as an album or LP. EPs generally contain a minimum of four tracks and maximum of six tracks, and are considered "less expensive and time-consuming" for an artist to produce than an album. An EP originally referred to specific types of vinyl records other than 78 rpm standard play (SP) and LP, but it is now applied to mid-length CDs and downloads as well. During the "clean" intro, Lars Ulrich's snare drum can be heard rattling in the background. On the documentary's DVD extras there are a couple of sections entitled "Tough Riff", that show Hetfield teaching one of the song's main riffs to Kirk Hammett, who appeared to have trouble figuring it out. A copy of the single is featured in the Criminal Minds episode called "Extreme Aggressor". The song "Enter Sandman" is also mentioned. 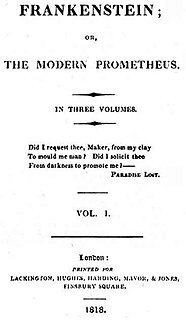 Dean Winchester, a character from the American TV show Supernatural , is heard humming the song in "Phantom Traveler", the series' fourth episode. All live tracks recorded live on June 11, 2003 in Paris, France. ↑ "Some Kind of Monster (Movie)". Metallica. Archived from the original on January 22, 2013. Retrieved January 25, 2013.